The visualization and organization of the strategy, goals, and improvement activities all play critical roles in a successful deployment. These two components, however, become increasingly difficult to keep track of as you engage more people in your strategic deployment. Over time, a complex system of spreadsheets, emails, SharePoint systems, and paper wall boards develops - resulting in the steady decline of both visibility and organization. Extensive time is wasted trying to keep the data up-to-date, leaders informed of progress, and front-line staff engaged. This is where KaiNexus comes in. Your strategy deployment software solution should give employees insight into the impact of their improvements, whether they’re making small, daily improvements or contributing to larger strategic projects. It must also make it easy to keep track of their responsibilities, validate their work, and improve at a faster rate. In this way, you will successfully engage more people and empower each of them to implement more improvements. 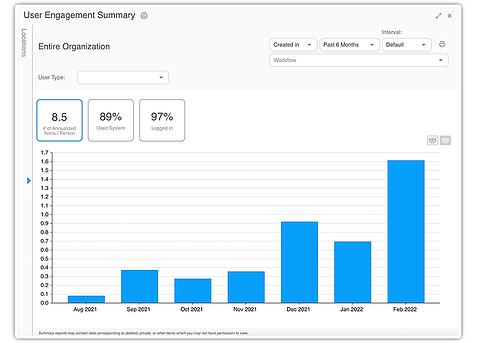 KaiNexus gives leaders insight into which employees and teams are contributing to your organization’s improvement efforts (and which aren’t), and makes it easy to get a read on the health of your improvement culture. This transparency increases accountability, which ensures that improvements are kept on track while allowing leaders to spot areas that need coaching or recognition. In this way, technology shapes leadership behaviors that promote continuous improvement. It should be noted, however, that software is no substitute for face-to-face interactions. This increased visibility should not be used to eliminate in-person communication, but rather, to enhance it by ensuring that all parties are kept up to date between meetings. This results in meetings that are more productive in that, instead of giving simple unidirectional progress updates, you can use that valuable meeting time for discussion, debate, and decision-making. Technology has the power to break down silos between distributed teams and make cross-functional collaboration part of the standard workflow of improvement. Another key component of Hoshin Kanri is the way your information is organized. 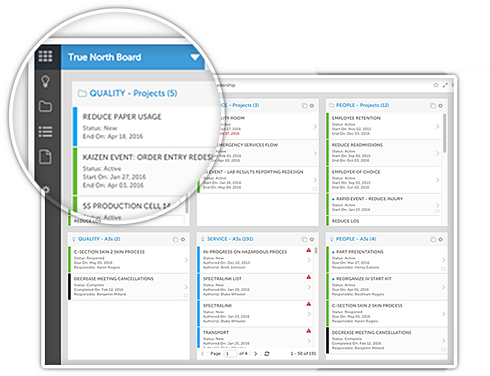 KaiNexus makes it possible to identify how each improvement and project relates to each other - and to your strategic goals. Whether your improvement methodology consists of any combination of daily improvement, A3s, VSM events, rapid improvement events, workouts, or Lean projects, there needs to be a direct line of sight between each initiative and your strategic goals and metrics. KaiNexus facilitates this by establishing a hierarchy of projects, with a top-level project for each goal and each subsequently smaller initiative cascading down from there. In this way, you can see, for example, how a Kaizen event or Lean project rolls up into a broader Value Stream transformation, and how that fits into the big picture of your organizational goals. Another important concept in Hoshin Kanri is organizational focus. Too many organizations struggle to improve because they have too many “top priority” initiatives. This often leads to chaos and confusion, with people being pulled in too many directions and not enough getting completed. 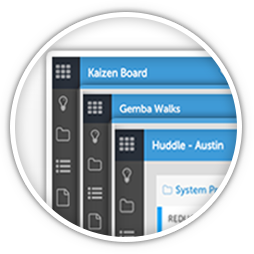 KaiNexus helps leaders prioritize the improvements that are truly “must do, can’t fail” as they go through annual cycles of the Hoshin Planning process. When an employee comes up with an opportunity for improvement, it’s important to track when the bottom-up effort impacts one of your organization’s key strategy deployment Pillars. KaiNexus allow yous to tag improvements with the relevant pillar. In this way, you can see how each bottom-up improvement helps you attain your True North objectives. Beyond tagging ideas when they’re captured, KaiNexus also allows you to filter all improvements and projects to identify all that contribute to achieving each strategic initiative, and instantly build reports showing their impact that can be displayed on any monitor, wallboard, or tablet. The system organizations have historically used to manage their strategy deployment based on spreadsheets, SharePoint, and paper printouts is used so often because it’s familiar - but with the advent of software capable of managing all components of Hoshin Kanri, it’s time to try something new. A variety of features ranging from smart notifications and cross functional teams to charts and reports increase visibility and organization. A faster improvement cycle with more engaged leaders and employees that leads to organizational alignment and greater success over time.